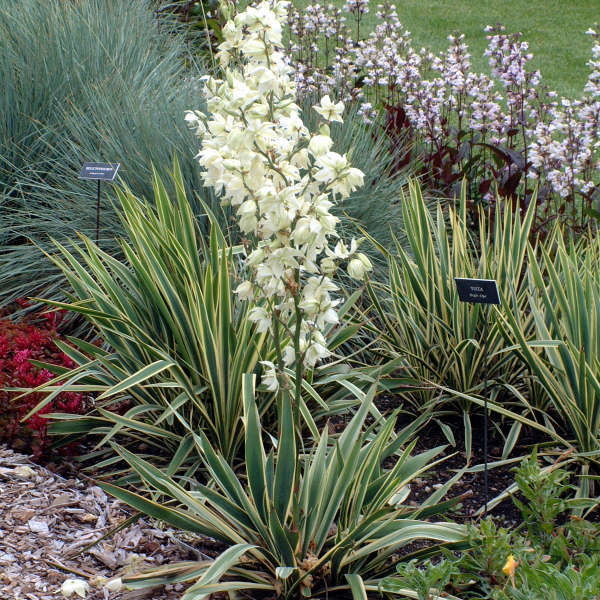 Tough as nails, yuccas are the ideal plant for a no-maintenance garden. Their sword-like foliage radiates upward from a central crown, remaining upright all year round except in the heaviest snows. 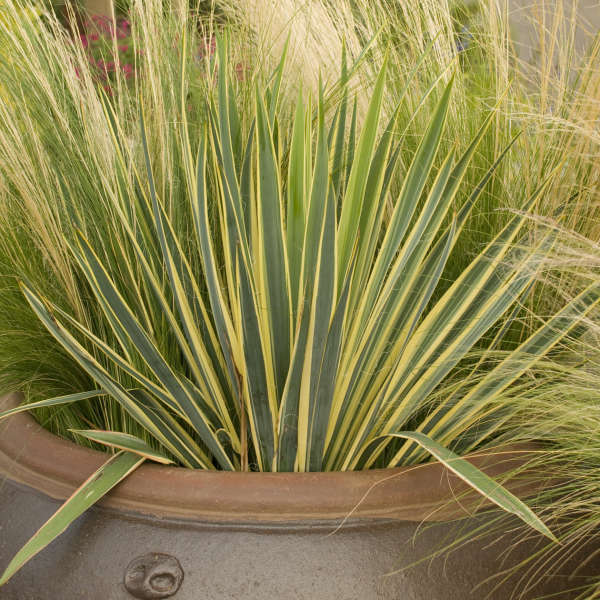 It combines nicely with all kinds of mounded foliage plants. 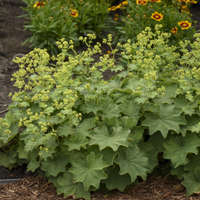 'Bright Edge' bears green leaves with bright golden-yellow edges. 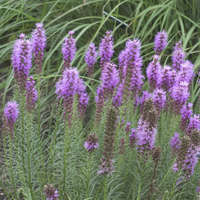 From early to midsummer, spectacular sturdy flower stalks rise 3-4 feet tall from the center of the plant. The individual bell-shaped, creamy white flowers are 2-3 inches long and dangle from the stems like earrings. 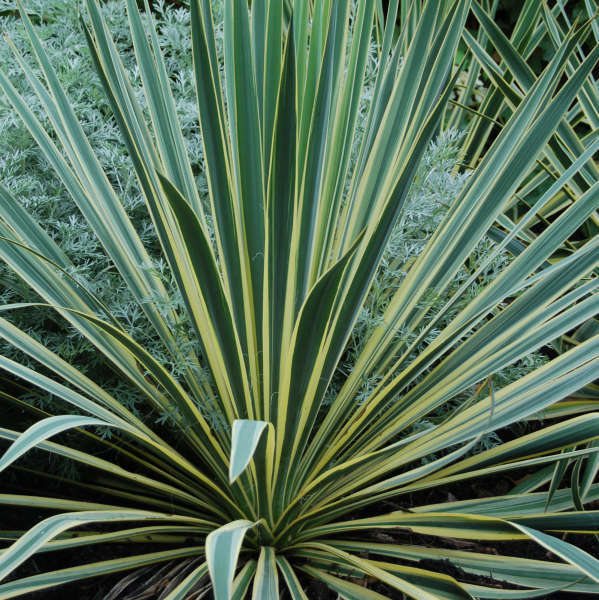 Yuccas thrive in any type of well-drained soil including those that are very dry. 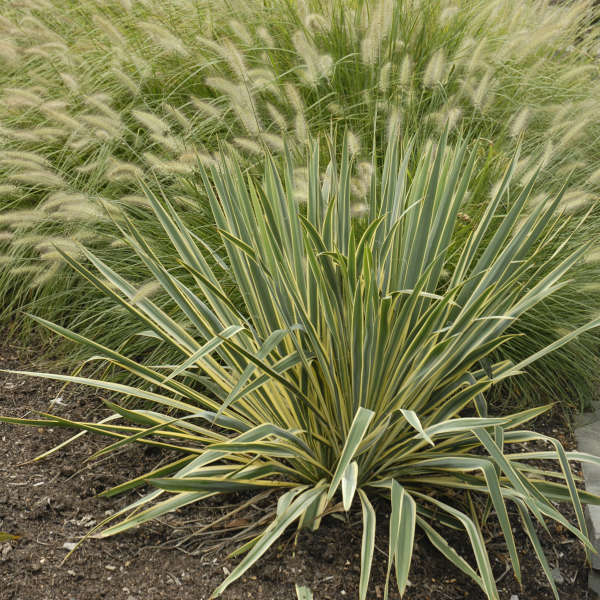 Though they will grow in partial shade, they reach their full potential only if they receive sun all day long. Many yuccas do not bloom until they are mature. Once they start, though, you will see that they were worth the wait. 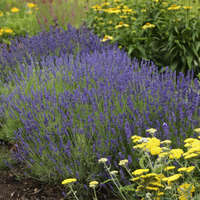 The flower stalks retain some ornamental value after the blooms have faded. Mature plants sometimes develop plantlets near their base. 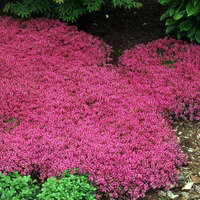 These can be dug and transplanted elsewhere if desired.